SUSE is another user-friendly linux distributions which is also widely used in developer communities. SUSE Linux is an opearating system, built on top of the open source linux kernel. Started in 1994, making SUSE one of the oldest existing commercial distributions. It has consecutive acquiring history, Firstly bought by Novell in 2003, then in 2011, Novell and SUSE acquired by The Attachmate Group. Later, in October 2014, the entire Attachmate Group, including SUSE, was acquired by the British firm Micro Focus International. One of its useful feature is: YaST – the best tool any OS ever had. Use and love linux, stay safe at your work! Hope this will give you guys some idea as well as some help in wordpress. We have seen most of the site has favicon which describe the additional information about the site , Addition in the scene it could be logo,company Profile, company production,web site application, and so many . add this part in between Section. Please try to use relative icon type like type=”image/ico” for .ico image. Finally ConvertICO can help to convert png image to ico image. Hope this will help the beginners who just started their journey in web development. WordPress has its own URL rewrite support for custom development. Before starting code, it would be good to visit its codex page here. Though there are many things to know and will take time to understand the whole process, i’m describing here a common scenario for rewriting a URL. htaccess can be used to rewrite URL’s and good technical knowledge required for that to do that on server, at this point we can use wp rewrite to fullfill our need without editing site’s htaccess file. Here goes the things: suppose we have a page for news listing like http://example.com/news, and we added a custom field in back-end to choose a news reporter. Now we want a page where news will be listed by reporter. we also need SEO friendly URL like this: http://example.com/news/reporter. In this case if we can take reporter slug from URL like \index.php?pagename=catalog&reporter=john’,we can the get reporter slug and can use for further query. Normally all rewrite rules map to a file handler (almost always index.php), not another URL. This would map news/whatever to the WordPress page ‘news’, and pass along the query var ‘reporter’. You could create a page template for ‘news’, then pick up the value of ‘reporter’ using getqueryvar(‘reporter’). In above example, first we wrote the rules and added the function, then added function to get it by query var. 1. Avoid using query vars like id - use something more unique (like 'reporter') to avoid clashes with WordPress. 2. Don't flush rules on every init! It's bad practice, and will write to .htaccess and call database updates on every page load! 3. WordPress will always flush permalinks whenever you update a post or your permalink structure (simply update your permalinks when you make changes to your code). Flexslider become one of the most popular jquery based slider for its lots of options, content based support and also for responsive. I’m gonna here to discuss some key points about running videos with Flexslider which needs to be pointed to avoid JS errors and for smoothness. For vimeo video, we use froogaloop js file, there is a updated file for this, try to use updated one and always add this JS file at the end of the html file. For youtube video in firefox browser, sometimes nav arrows don’t show and other css issues, try to use ‘wmode=transparent’ at the end of the iframe src. Iframe should not be hidden at first by ‘display:none’, this can be in a case that we want a play button to be clicked on this and to play the video, and the iframe is hidden at first. so hidden iframe can cause error like ‘value not an object’ or so on. Use ‘enablejsapi=1&verson=3′ to use it with youtube player API. For youtube player API, always try to read first its document(https://developers.google.com/youtube/js_api_reference) and get idea as well as other issues. We can also use a simple function ‘callplayer()’ to control youtube iframe as shown here(http://jsfiddle.net/g6P5H/) or discussed here(http://stackoverflow.com/questions/7443578/youtube-iframe-api-how-do-i-control-a-iframe-player-thats-already-in-the-html) . So, above points can reduce your hassle for JS erros or others. Hope the issue can save your time! Enjoy!! its also known as ‘inspect-and-adapt’ approach with ‘analysis-paralysis’ way. Agile Software Development is a group of software development method including most used popular SCRUM with the tool ScrumWorks Pro. Agile methods break tasks into small increments with minimal planning and do not directly involve long-term planning. Iterations are short time frames (timeboxes) that typically last from one to four weeks. Each iteration involves a cross functional team working in all functions: planning, requirements analysis, design, coding, unit testing, and acceptance testing. At the end of the iteration a working product is demonstrated to stakeholders. This minimizes overall risk and allows the project to adapt to changes quickly. An iteration might not add enough functionality to warrant a market release, but the goal is to have an available release (with minimal bugs) at the end of each iteration. Multiple iterations might be required to release a product or new features. 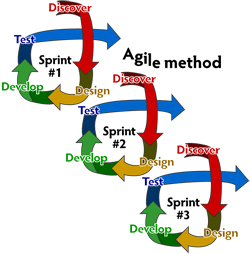 There is a common debate between old Waterfall and Agile method. Now the question is why agile and why not waterfall? Waterfall method tell us for a sequential workflow. like making requirements, design, coding, testing and so on, that is one by one. But the problem here is : at the end of a project, a team might have built the software it was asked to build, but, in the time it took to create, business realities have changed so dramatically that the product is irrelevant. In that scenario, a company has spent time and money to create software that no one wants. Couldn’t it have been possible to ensure the end product would still be relevant before it was actually finished? Yes, it can be done by agile way, an iterative, incremental system where a group of teams finish their assigned work by their team meeting, collaborating with client within a short time frame and finally done with a successful software which make sense. I’m gonna share someuseful function here which is really handy for custom post type. Some guys really don’t know about those functions, as i got those useful after digging some solutions for real life problem. 1. is_post_type_archive(‘POST-TYPE-NAME’), this is needed when you are checking something for post type archive/listing page like in common header/footer. we frequently use for add some js/css or some class in common places. But that was the extra effort to get URL segment for a post, we can do it by get_query_var(), we need to pass post type name as a parameter to this function like for ‘news’ post type we will use get_query_var(‘news’). So for the URL : http://example.com/news/lorem-ipsum-dolor/, we can get the post slug(post_name used in DB) by get_query_var(‘news’). 3. wp_deregister_script() sometimes we use plugins for some extra facilities like custom post type/twitter feed, plugins use wp_head() to inject its necessary js/css or others function to hook, same as for wp_footer(). wp_deregister_script() is needed when we use our own js like jquery library. So there will be 2 jquery file when using own with wp’s native 1. and sometimes for new bee, its hard to find out why js error occurred and js functions are not working …. wp_head() renders some others links also. to avoid this type of situation, we need to remove that, we can use just wp_deregister_script('jquery'); in theme’s functions.php file. Finally its handy to remove the jQuery from your wordPress font-end/theme files, add wp_deregister_script(‘jquery’) just before wp_head() on your theme’s header.php file like below. 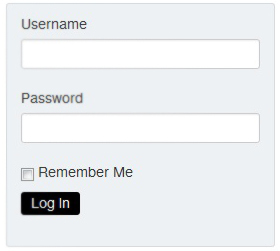 Will add some other WP function soon which we need frequently in development. On page SEO tips – must follow list! You own a online shop or have a business, you want more customer, more interaction, so SEO takes part here to be more reachable you to your audience. Now a days, without SEO, we can’t think a website. I have listed here some vital points about SEO, which you can digg more and try to apply. ‘Spiders can crawl text, not Flash or images’, so whenever you design website think about SEO issues also. Use RSS feed with proper title and description. Use the words “image” or “picture” in your photo ALT descriptions and captions. lot of searches are for a keyword plus one of those words. Check server headers. Search for “check server header” to find free online tools for this. You want to be sure your URLs report a “200 OK” status or “301 Moved Permanently ” for redirects. If the status shows anything else, check to be sure your URLs are set up properly and used consistently throughout your site.